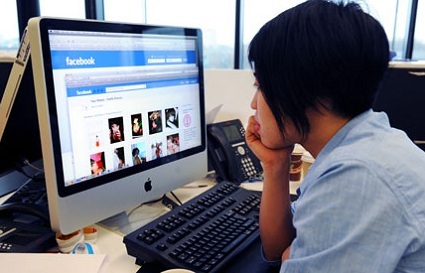 It might be too heavy handed or even draconian to monitor employee Internet usage at work. But, trying to curb personal Internet usage and wasted time at work is generally really hard to police. Blocking particular websites, or tracking the sites visited by employees is usually problematic and most approaches don’t prevent wasted time. This problem is HUGE. Wasted time at work is one of, if not the most important challenge companies all over the world are facing. The cost to business each year is in the billions. In their annual “Wasting Time at Work” survey, Salary.com found that 64% of respondents report wasting one hour or less each day, 22% waste approximately 2 hours daily, and 14% waste 3 or more hours each workday. Personal Internet use topped the list as the leading time-wasting activity according to 48% of respondents. Check out the infographic we created about this. More recently, a UK based employment site MyJobGroup.co.uk surveyed 1,000 British workers and found that almost 6 percent of them spent over an hour a day using social media of some kind, including Facebook. This is roughly one-eighth of their workday. By extension, about 2 million of Britain’s 34-million-person workforce likely were doing the same, costing the British economy about 14 billion pounds in lost productivity. So how are businesses waging war against wasted time and cyber-slacking? Banning Internet usage and certain websites or monitoring internet activity are some of the more typical approaches used in corporate Internet monitoring. All of these methods are flawed. Banning the Internet at work – this is obviously not going to be effective in most work places as the Internet is essential for nearly all business at some level. Banning certain web sites such as Facebook – this is also not a good approach for several reasons. Firstly the ban is not likely to be comprehensive (Facebook isn’t the only website that wastes time). Second, the person may need to use social media sites for work purposes. Third, it doesn’t allow staff to use the Internet for personal reasons during their lunch break for example. Monitoring employee Internet activity – this is also not effective for a few reasons. For starters, it is more and more common for workers to spend part of their day on their home computer, their laptop or to work remotely, whilst on the train, etc. Also even if Internet is monitored on their work computer, staff can most likely browse the Internet on their iPhone or another portable device. If all of the above typical approaches of corporate Internet monitoring are flawed, how can it be successfully done? Use a software that monitors the web sites visited during work hours only. It should then be able to send this information to the manager and the employee in a simple weekly report into their email. This very simple weekly report sent via email has all the data of the websites visited during work hours. 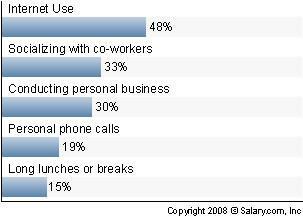 This information can be used for improvements in productivity, not just to prevent personal Internet use at work. The report is very easy to read, and only needs to be reviewed once per week so it doesn’t take long for management to review it. This method works ONLY when the person is working, and not when they are on a break. It means that the person can use the Internet for personal reasons during their lunch break and it won’t be recorded. This approach can also be used for remote working employees. These remote workers use their personal computers when working from home. Since you are only tracking websites during work hours, they could easily take a break and browse personal websites when not working. Our own employee monitoring software, Time Doctor was built with the above approach in mind. It will proactively remind staff not to use potentially non work related web sites during working hours. For example if the person says they are working on “accounting task” and they visit Facebook it will pop up and ask – are you still working on “accounting task”? This means the person will be reminded that they shouldn’t be using Facebook, but they still have the option to if it’s work related. Time Doctor‘s weekly report of Internet Usage focuses on only websites that were used more than 10 minutes during that week. This is important so that management are focusing on the big details, and are not worried about an employee visiting Facebook for only 30 seconds during that entire week (This is 10 minutes of cumulative time during the week). We all definitely do not want time to be wasted at work. At the same time, employees don’t want a draconian way of monitoring Internet usage. If you’ve read all the way through here, then you now have an idea how to balance the dilemma. Try our unique approach and see how your overall productivity would grow! Here’s why blocking Facebook at work is a poor solution to lost productivity. To monitor or not monitor, that's a question. As the company's employer, you want to know what your employees do during the office time.That's quite sure. In my opinion,the employees' being monitored means high efficiency. And I am a employer, I do use the Aobo Keylogger in my company's working system, of course it works well. I have heard about employee monitoring software such as Micro Keylogger tracks employee activities like keystrokes typed, websites visited and the screenshots of desktop to monitor your employee's internet usage. You can use Websense Internet access management system in order to monitor, report and manage internal Internet use. Also, if you wish to monitor computers remotely, I would suggest installing on premise remote support appliance such as RHUB appliances to remotely monitor employees computers. I believe that the computer I use at work belongs to whoever bought it, and I assume no right to privacy when I am somewhere other than my home, or when I'm using someone else's computer. Allowing employees to disable monitoring solutions on a business computer opens the business up for a major breach in security. Surely, you have a personal cell phone you could use to contact loved ones and conduct private matters with.I find it highly ungrateful to think that the computer you use at work is your personal, private computer. First, you have a job. Secondly, you can use a computer at work. Third, someone pays you to use their computer, they ought to have complete control over how the machine is used so that if you were to leave the company for any reason (perhaps you've started your OWN business where you've bought computers for your employees to use) the computer can still be used by a new employee without any trace of your personal life.Idk, something about your invasion of privacy statement rubbed me the wrong way. Most employers have you sign a waiver stating that you will be monitored, so find/start a business that is not concerned with monitoring their computers, and you will see the dangers in allowing employees to use company computers for personal reasons. I have an employee who clock overtime is they spend 15 minutes over their 8 hours. I have no problem with that but have recently learned that she is visiting facebook throughout the day. As far as I am concerned, she is stealing from me because I am paying her overtime when she could be getting her job done if she wasn't visiting facebook. How is it an invasion of privacy f my employee is guilty of theft? For the record:We don't believe in stealth monitoring and believe it is an invasion of privacy. We believe in the following two principles:a) Employees should know who is monitoring them and have access to all information that is monitored b) Employees should be able to TURN OFF monitoring when in a lunch break, for example if they want to contact their loved ones and do not want this personal communication monitored by their boss.Companies who do not follow these principles we believe are invading the privacy of their employees.